254 pages | 18 B/W Illus. For decades, experts and the public have been at odds over the nature and magnitude of risks and how they should be mitigated through policy. Experts argue that the fears of the public are irrational, and that public policy should be based on sound science. The public, on the other hand, is skeptical of experts, and believe policy should represent their interests. How do policy analysts make sense of these competing views? Science, Risk and Policy answers this question by examining how people evaluate evidence, how science is conducted, and how a multi-disciplinary framework to risk can inform policy by bridging the gap between experts and the public. This framework is then applied to four case studies: pesticides, genetically engineered foods, climate change, and nuclear power. 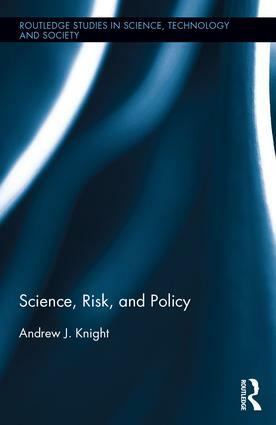 By tracing the history of the science, policies and regulations, and evaluating arguments made about these risks, Andrew J. Knight provides a guide to understand how experts and the public view risks. Andrew J. Knight works for the Province of Nova Scotia in program evaluation.